Euro Dismantling Solutions Limited has been fined after a worker died during demolition works at the former Cadburys Somerdale factory. 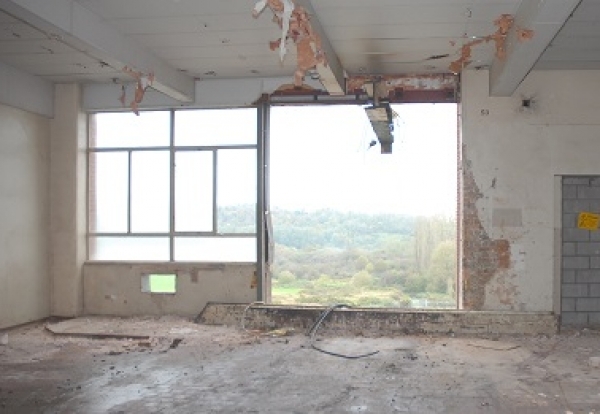 Bristol Crown Court heard how demolition work was taking place on 9 November 2011 when 31-year-old James Stacey drove a mini digger out of a fourth floor opening. He was using the opening as part of a ‘drop zone’ to drop large fibreglass tanks that had been cut in half to the ground below. The opening was not properly protected to prevent the machine falling from the building and the tank got stuck on the digger and pulled the vehicle with it. Stacey died from his injuries. Euro Dismantling Solutions Limited (now in liquidation) pleaded guilty after they failed to ensure the safety of Stacey whilst carrying out demolition work. The firm was fined £80,000. Site Supervisor, Paul Ben Priestley (54) was also charged under Section 7 of the Health and Safety at Work etc Act 1974 after failing to take reasonable care. He denied the charges but was sentenced at Bristol Crown Court on 21 May 2015 and was given an 18 month custodial sentence, suspended for two years and was fined £7,500.